One thing that businesses investing in money counting machine have in common is to improve their efficiency, especially in cash management. The machine brings about the automation of cash management process making it easy for a business to operate. However, it is important to note that automation is not a luxury and a necessity in the modern business environment. By automating the cash counting processing will help you free up staff by reducing the time that they spend in the laborious task. With this machine, you will be able to reduce the number of hours used in counting cash. 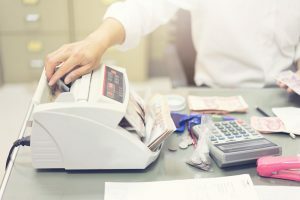 You will also reduce the number of employees in cash management and allocate them other duties that will help to improve the operation of the business. That is how efficiency is improved. One of the biggest benefits that come with money counting machine is improving the efficiency of customer service. In fact, you will be impressed to see how quick you are able to count and give change to customers. Therefore, you are able to serve many customers in a unit time hence improving the efficiency of the service. That is something that every customer is looking out for- enter the store, get served and come out within the shortest time possible. The other way that money counting machine improves the efficiency of your business is by reducing errors in counting. This is one of the limitations of counting by hand. But with the automated machine, the efficiency is increased by reducing the error to almost zero. The machine also helps to reduce the possibilities of fake money getting into the business. Unlike the human brain that gets tired and bored after some time, a money counting machine provides you with long working hours. In fact, you will be impressed to see that some of the brands offer 8-12 hours of continuous use. With such long working hours, it makes it easy for the machine to operate efficiently without stopping. What you need is charge the battery, and you are good to go.